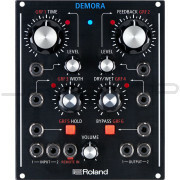 Hands-on control over many parameters, including tune, level, decay, etc. 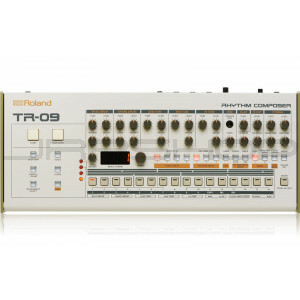 The original TR-909 blended analog kick, snare, and tom drums with six-bit samples for the hi-hats and cymbals. This hybrid approach to sound generation meant that the 909 sounded like no other drum machine. 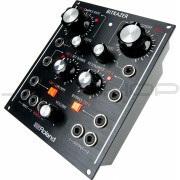 Accurately recreating such an influential sound while retaining the ability to edit and tweak the various parameters is only possible via Roland’s ACB (Analog Circuit Behavior) technology, which is also found in the popular AIRA series. Dedicated TR-909 users will recognise the classic TR-REC style of programming found in the TR-09, with a choice of Step or Tap write modes. You can even change modes while the pattern continues playing, something not possible on the original. 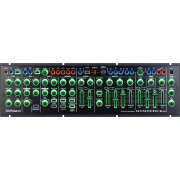 The TR-09 sequencer has 16 steps, and each has 16 sub-steps so you can fine-tune your performances. And just like the original TR-909, the Shuffle/Flam parameter can be selected using the buttons—but if you need greater control, simply use the display and rotary encoder to perfect your pattern. The TR-09 is designed to easily connect with other gear. The main stereo mini-jack output can also be reconfigured to send the selected instrument to the right channel, with the other instruments output to the left. A mix input routes external audio through the main outputs, while the trigger output lets the TR-09 drive vintage analog synths such as the SH-101 or JX-3P, or modern gear like the current SYSTEM-500 modular series. 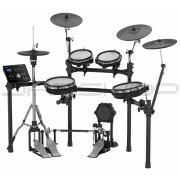 Sync and control other gear via standard MIDI ports or USB, and even send the audio of four individual drum parts via USB to continue working in your favorite DAW. Some of the best music is made away from the studio, so the Roland Boutique series runs on 4 x AA batteries, ready for when inspiration strikes. Alternatively, you can power the TR-09 with USB bus power. Via its USB port, the TR-09 also functions as a high-quality audio interface, providing a simple and reliable way of recording directly to your DAW application. You can even send individual drums to separate channels, thanks to the TR-09’s four discrete outputs over USB. Saving your favorite settings and sequencer patterns is easy too via the USB data backup function.